I love candy corn way too much and should never ever buy a bag. Somehow they end up in my cart and I always regret the purchase. I have serious issues with this delicious candy and can’t stop eating them! Well, it was a day at Target that many things ended up in my cart, including a nice big bag of candy corn. Sometimes those spend way too much at Target days give me good ideas! Instead of eating half the bag of candy corn, I decided to infuse some with vodka and make a sweet and yummy Candy Corn Cocktail! It is great for a festive and fun fall and Halloween drink! 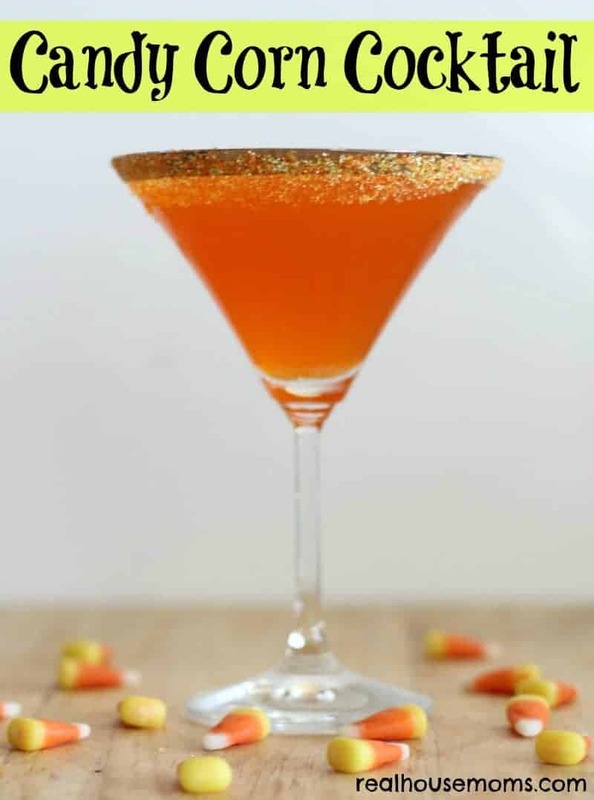 Candy Corn Cocktail is a sweet, fun, and festive drink for fall and Halloween parties! You have sold me on candy corn! Thanks Lin! I LOVE candy corn and this drink is yummy!!! What is on the rim of the glass?